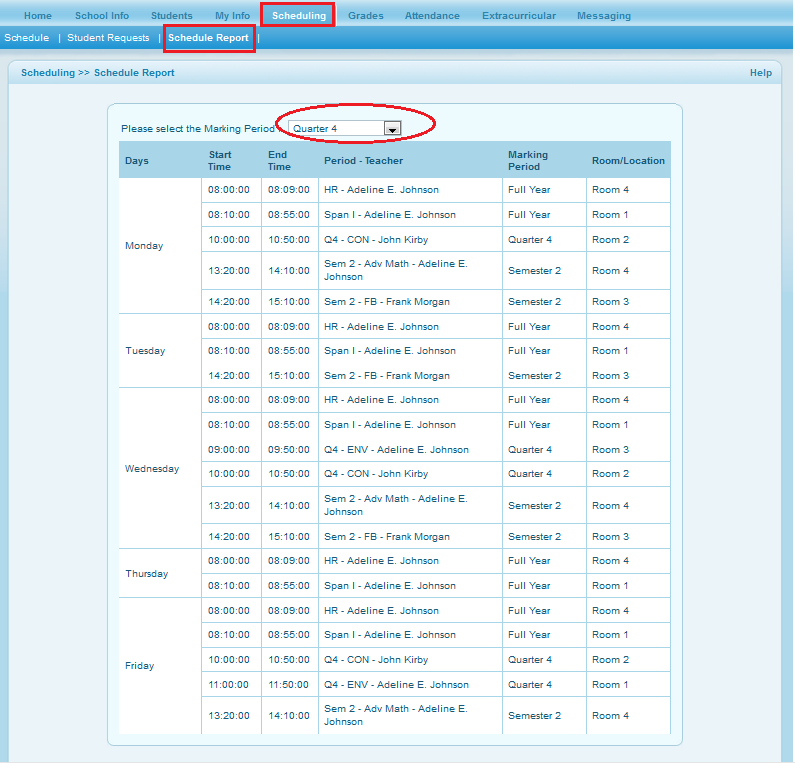 Parents can generate their child's schedule report based on the marking period. To view the student's schedule report, from the menu panel of the parent portal select Scheduling >> Schedule Report. The report is generated in a tabular format for the parent's convenient reference.